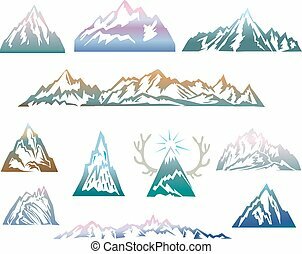 Mountains set. 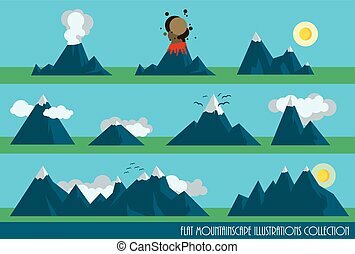 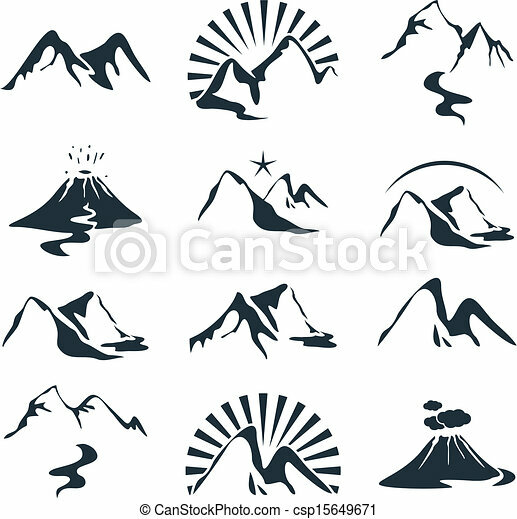 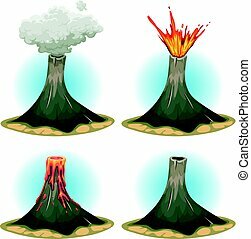 Icons set with various alpine silhouettes. 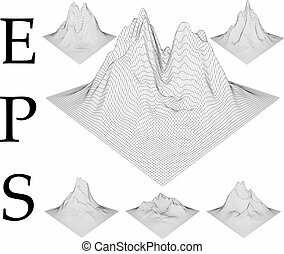 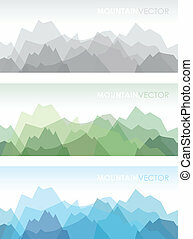 holographic landscape scan style wireframe mountains set. 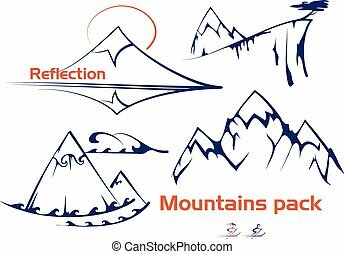 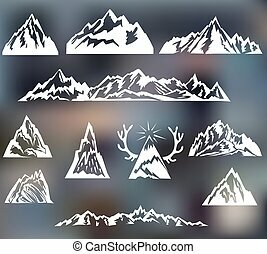 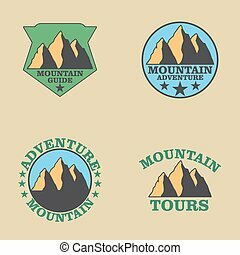 Mountains icons collection. 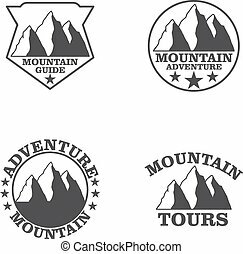 Element for your logos.